Well I`m back with lot of good news. 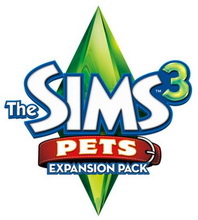 First is I updated all objects for last patch that comes with Sims 3 Pets. Thanks to SteveB for his Rig fixer. I updated all object and clothing sims3packs. All i have in my blog and other forums. As I know other type of objects don`t need to be updated, isn`t it? Now all objects I have you can download in both versions: old and patch updated. But lately I will replace the links to old version files. I`m not dead and work on my own skin currently. Here is a feedback post where you can see the last news. I have an issue with custom thumbnails so I will glad you help me with this. Another thing I`ll made I change the blog name. I made a mistake to name it. The new address will be I originally wanted to have madebyvic.blogspot.com. So please sign in for not to miss a link. And finally there is a huge, really huge present is baking on our hidden kitchen at prosims.ru. It will dedicated to Christmas and New year.